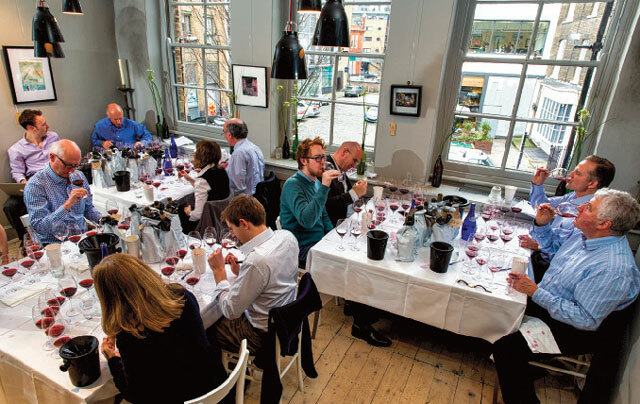 The drinks business Pinot Noir Masters saw judges tackle almost 300 bottles to discover some worthy winners among the high volume of entries. Judges at work. The Modern Pantry provided plenty of natural light. LONG BEFORE Hollywood delivered a eulogy to Pinot Noir in Sideways, Burgundy’s red grape has held a special position among wine lovers. Revered for its pretty aromas, smooth-textured sweet fruit, and an almost weightless sensation in the mouth, Pinot Noir can create a vinous experience no other grape can emulate, and, as a consequence, the world’s most expensive wine: La Romanée-Conti. Divided only by price bracket and, for ease of judging, whether the style was oaked or unoaked, the blind tasting format allowed wines to be assessed without prejudice about their country of origin. 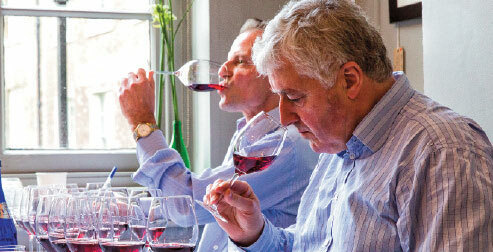 Wines were scored out of 100, with those gaining over 95 points being awarded the top title of Master. Those earning over 90 points were given a Gold, those over 85 points a Silver and those over 80 points a Bronze. The wines were judged by Masters of Wine and Master Sommeliers on 5 February 2014 at The Modern Pantry restaurant in London. However, as with any noble grape, there’s a wide range of styles depending on not just where it’s grown, but who has handled it, and for whom. And following a tasting of almost 300 unblended Pinots, it appears that this single grape is the source of remarkable diversity. Payne was just one of eight Masters of Wine (and one Master Sommelier) who were selected to assess the Pinot Noirs, which were served blind, but arranged according to price band as well as style, so that wines were tasted in the fairest possible order: low-priced to high, unoaked to oaked, light-bodied to full. This format saw the highly experienced tasters focus purely on the quality of the Pinots without any sense of where they were from, with as many as 16 countries featured in the line-up. Of course, without prior knowledge of the source, the assessment of quality centred on style. Here, thankfully, there seemed to be consensus among the judges. 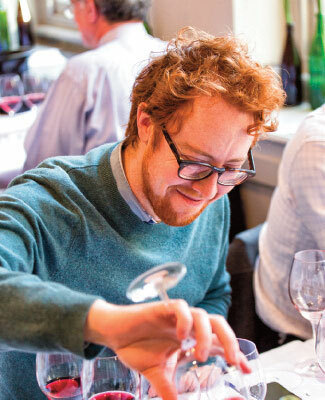 At the cheaper end of the spectrum, it was felt that low-levels of residual sugar were acceptable – though not desirable – while the tasters also agreed that below £10, Pinot Noir is best without oak influence. At higher prices, the tasters were looking for an open, pretty nose; an attractive, smooth texture, and enough freshness to ensure the drinker wanted more. Whatever the price though, the wine had to be recognisably Pinot – and although that meant the wine could exhibit flavours from red to black fruits, it needed to be combined with a relatively light body for a black grape, the aforementioned smooth texture and a refreshing finish. Without knowledge of abv, the tasters had to rely on any impression of excessive alcohol, usually a warming to hot finish. In search of natural balance, judges still scored moderately high alcohol wines generously, as long as the perception of alcohol complemented the fruit concentration. Similarly, when it came to the influence of oak, wines which did well had a good balance between barrel- sourced flavours and tannins and the weight of fruit. Where the oak dominated, medals were not awarded. Also, the level of fruit ripeness was a point of some discussion. The tasters rewarded those wines with bright flavours, particularly lively red fruit, and not examples with a stewed, sometimes raisined character. While the latter style can produce a sweet sensation, it also caused premature colour and perfume loss, and a flat, short finish. Of course, attempting to achieve optimum ripeness for Pinot requires not just cooler viticultural climes, but also well-judged harvest times. And as for achieving Pinot’s signature smooth texture, that requires not just the right site and careful vineyard management, but also cellar practices that are gentle. Heavy-handed maceration techniques can easily give harsh tannin and a drying sensation, although this was rarely seen in the competition entries.